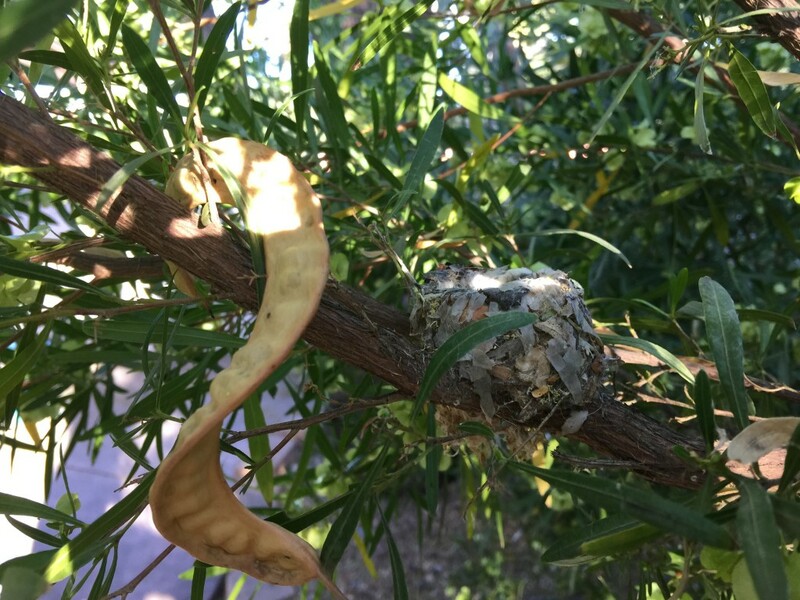 We, prairie people, get really excited about hummingbirds, and with all of the news of the Tucson Festival of Books, I forgot to tell you that I found a nest right outside of my room on a branch at eye level. 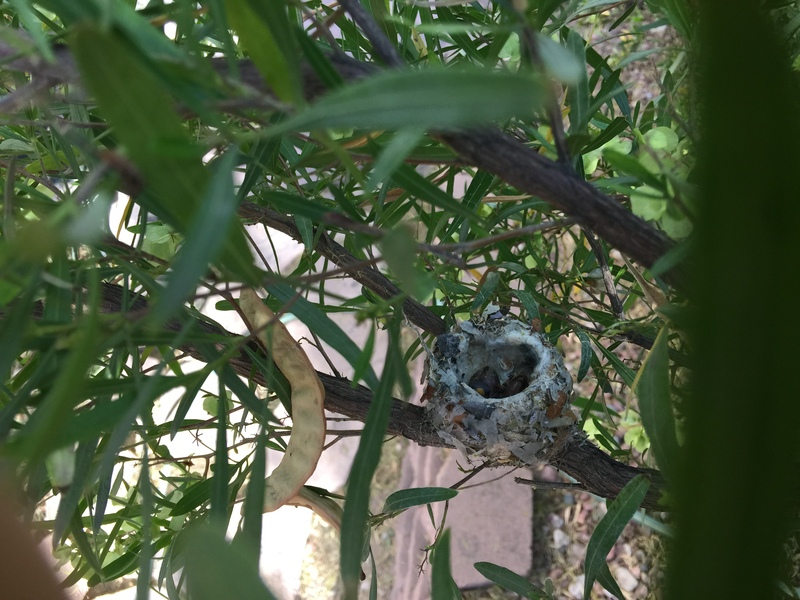 At first the mama hummingbird would immediately fly away, but now she is doing some serious nesting, and will let me get within a foot of her before she flits away. Here is the nest from below. 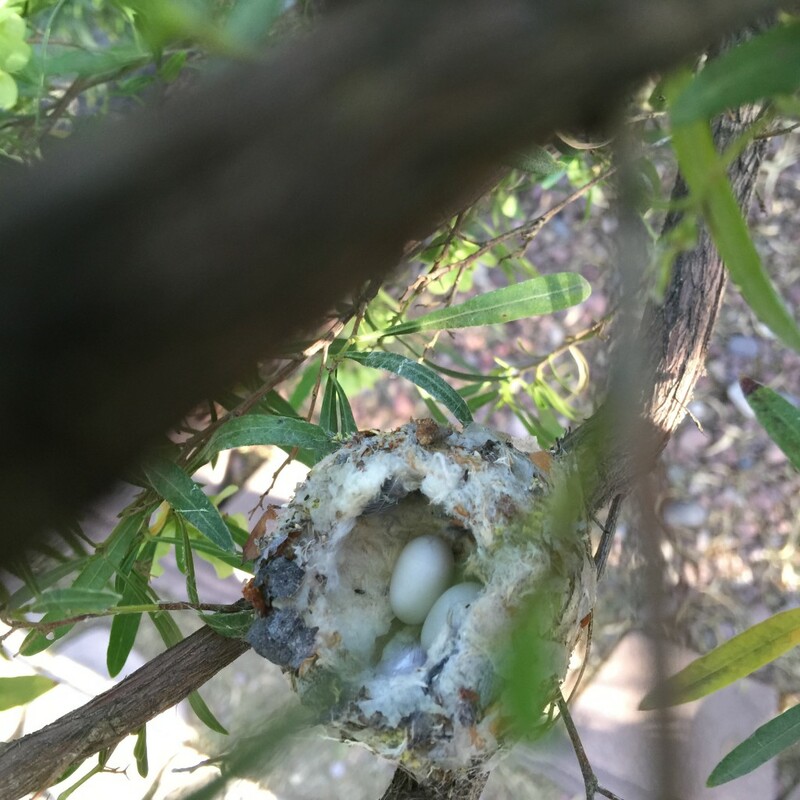 Here are the eggs in the nest. Welcome to the World: Two baby hummingbirds. And, the feeding has begun with a flurry.